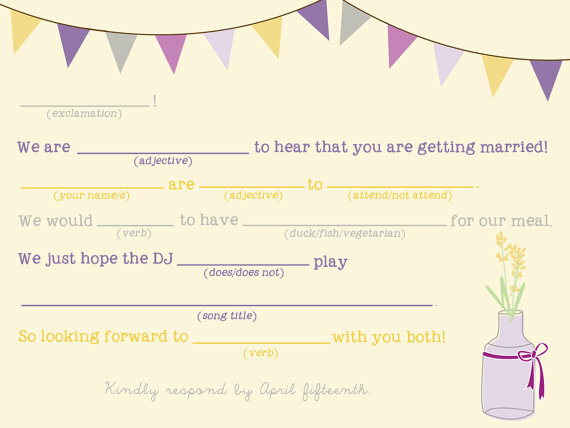 On their RSVP mad libs, guests are asked to fill in their name, whether they can or cannot attend, and fill in the blanks of the mad lib story. One of my favorite blanks? “I hope the DJ _____ (does/does not) play _________ (song title)“. What a great way to build (or edit, ha!) your playlist. I loved receiving and reading my wedding rsvp cards. Not only is it obvious that receiving mail is fun, but you’d be amazed how many sweet guests wrote well wishes on the card itself! 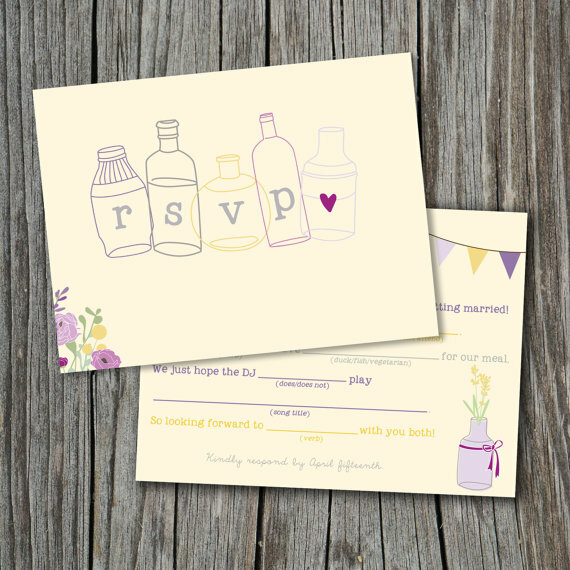 This RSVP idea takes the fun to a whole new level. Why isn’t every party response card in mad lib form? :) Grab yours at Splash Of Silver. RELATED: Want to Cross This Off Your To-Do List? 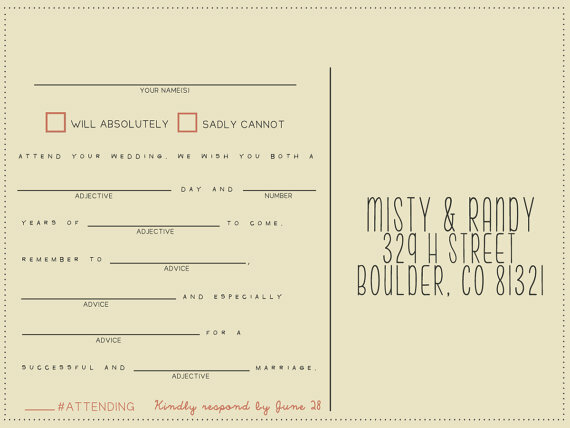 Now it’s YOUR turn: would you use these rsvp mad libs? What’s the most creative response card you’ve ever seen? P.S. 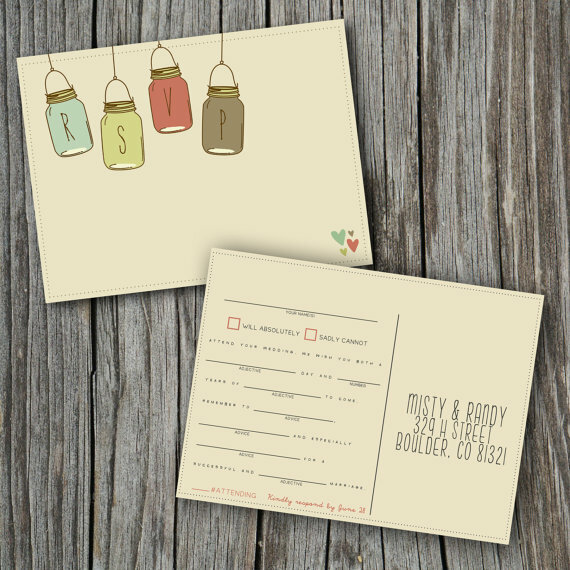 Hey, lovely – have you entered to win this week’s fab giveaways at Emmaline Bride? There’s plenty of ways to win every week… right now we’re giving away a bridesmaid robe prize pack and a chic bridal lace clutch! P.S.S. Are you planning your wedding? Need inspiration? This will help!